Here we have a classic headpiece. 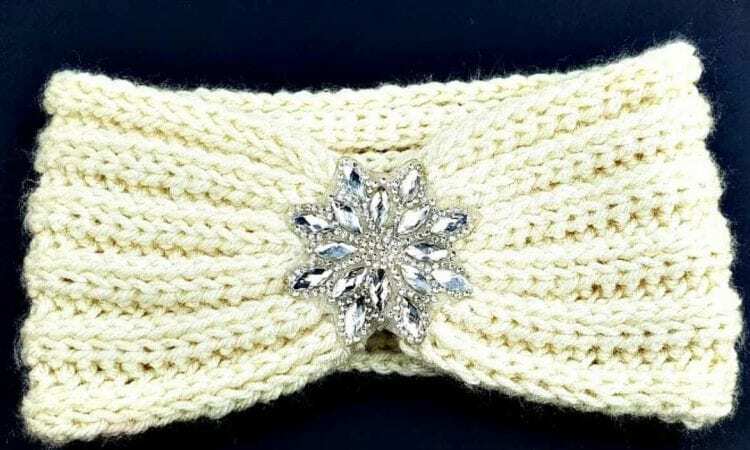 This retro headband with its pinched seam is a fun throwback to the roaring 20’s, an age of partying, Great Gatsby and silent films. It can go with a modern outfit, as the ancienne touch, or can be used for a more consistent retro look. Either ay, this is a very attractive accessory, topped with a rhinestone flower. A link the free pattern is at the end of the post.